I’ve had medical issues for a while now and haven’t been up to doing very much of anything. I got a little shop set up in a spare bedroom and have started doing some woodworking. Woke up this morning and decided today was the day to fire up the lathe. I didn’t think I had turned anything in a couple years, but LOML informed me it’s been just over 5 years since I did any woodworking. Damn how time flies! My big lathe is still in pieces in the shed, but my Jet mini is ready to go. Well first up, like I said, it’s TIME to start turning again. 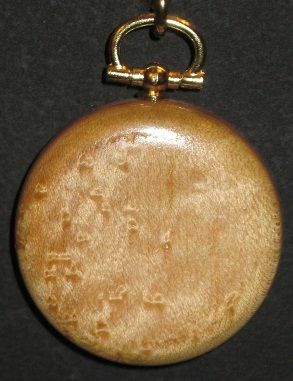 Little Birdseye Maple pocket watch. Next we have a Burly little guy! 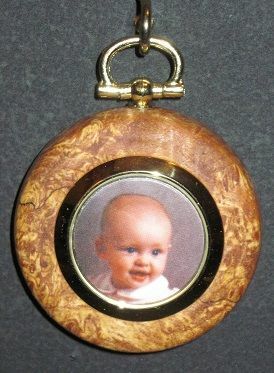 Burly as in Maple Burl picture frame. 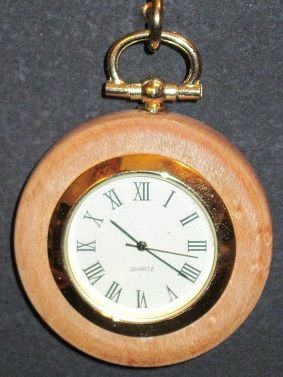 LOL Picture insert like a clock insert. Don’t get lost looking at this next piece! 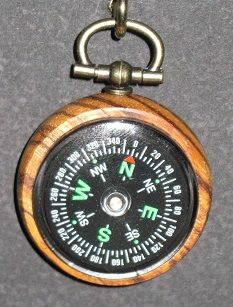 How about a Compass in Zebra wood. This piece has a magnetic personality. Chrome plated retrieval magnet in Ebony. And last but not least, we have the Ali Special Ink pen. You can buzz right through that paperwork with this one. 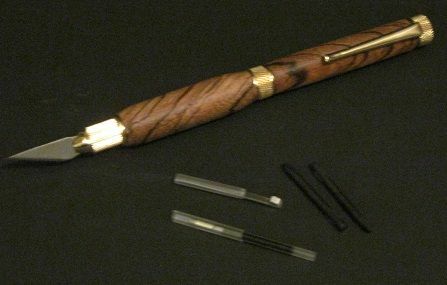 Ebony and Yellow Heart on a slimline pen. Not a bad day, if I do say so myself! Good job Dan. 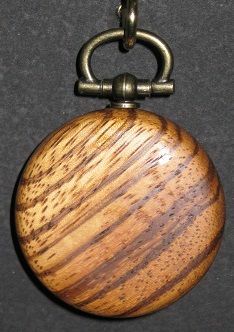 I remember when you put up a tutorial on turning the watch. I really like the magnetic retriever. 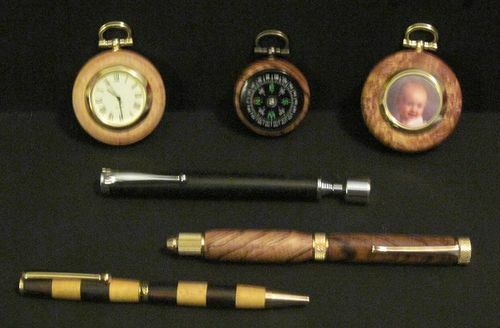 I really like the magnet and the multi-tool pen, I’ve never seen those kits but I’d love to get some to make as gifts. Any ideas on where I can find them? 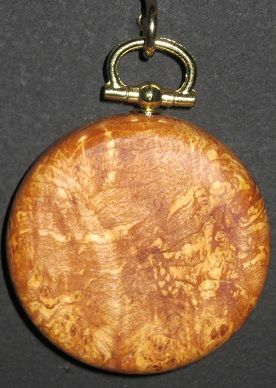 I checked Amazon and Woodturners catalog but didn’t see either kit at either site. My magnetic extractor is a long piece of dowel with a magnet glued to it. The older I get, the more I use it to pick stuff off the floor. Fixing my wife’s color laser printer… up to the shop with the 50# behemoth, blew out the leaking yellow toner from a faulty cartridge, and about to put 3 new cartridges in it. That’s a small fortune, but at least it lasts a long time. Then rearranging the storage room to get at equipment, and improve temporary storage for shop stuff to make room for the table. Getting a couple of project tables level and coplanar, and then I can start assembly of the table. Thanks everyone for the kind words. I’ve got a lot of turning kits that I bought years ago before getting sick. The Pick up magnet kit and the multi tool kit both came from Woodcraft. Jim, you keep complaining about all the projects but you don’t post any you lazy bum! Stab me in the heart, stab me in the heart!!! All of these projects look like really nice work. All of the pieces are very nice looking. Tuff to pick a favorite … but my favorites are the baby pic insert and the hobby knife.